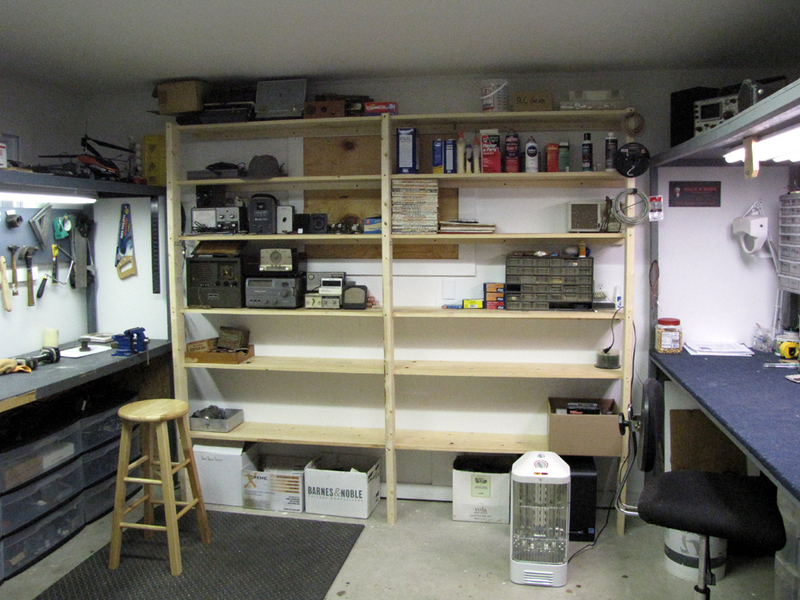 I’m getting settled in to my new work space here and this time around I decided to build some good strong shelves for storage. Shelves are great for this because you can easily see and access what you’re looking for. I had two exposed walls to work with so I decided to attach the shelves directly to the walls. This could have been easily done with some metal shelf brackets but I’ve used this method before and found it to be too weak. Over time the shelves begin to slope downward and you end up with things tipping over or sliding off. 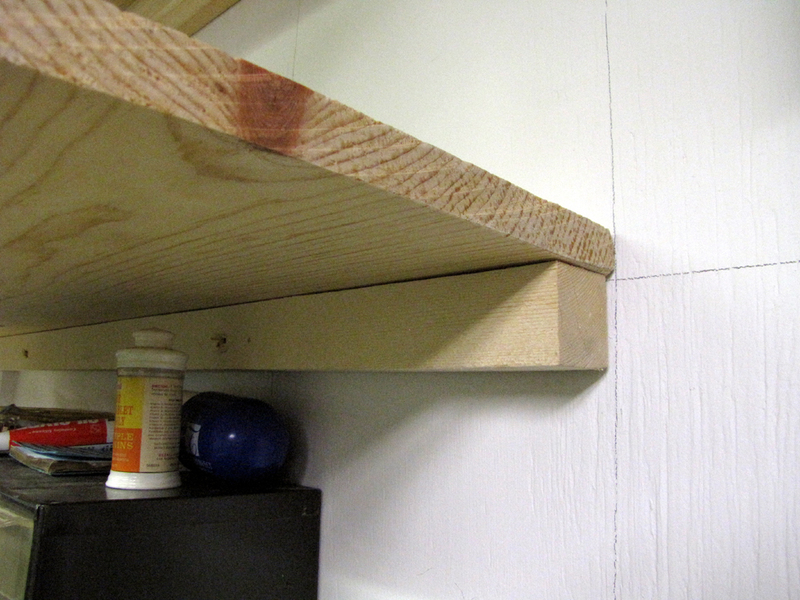 To solve this problem, I mounted a ledger board to the wall and held up the outer side of the shelves with notched vertical supports as pictured below. Here’s the 2″ x 2″ ledger board with the shelf resting on top of it. 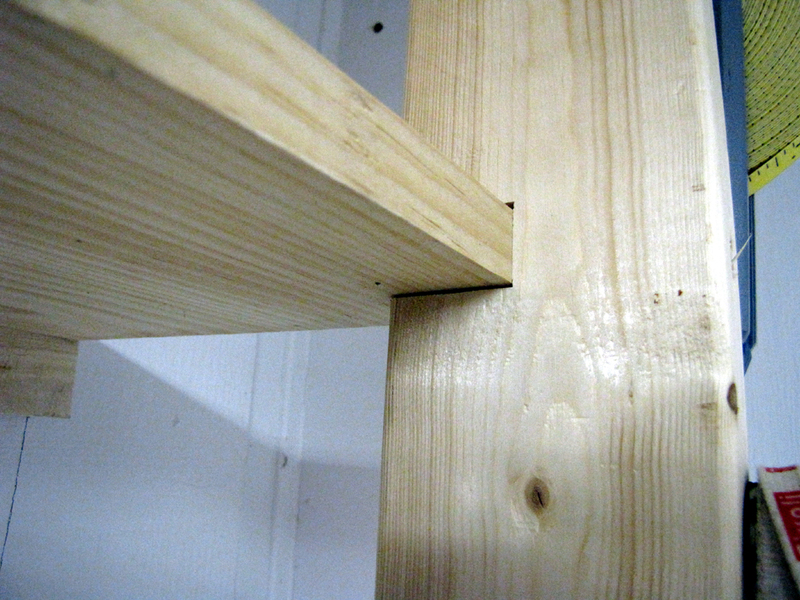 This is the notched 2″ x 4″ vertical support holding the outer portion of the shelf.